Cole made it back. Since he flew alone to Houston and then made it to Corpus Christi, sans camera, we don’t have any pics of the trip. We do, however, have this pic of his handsome face as he left us in a very messy home shortly after moving in. 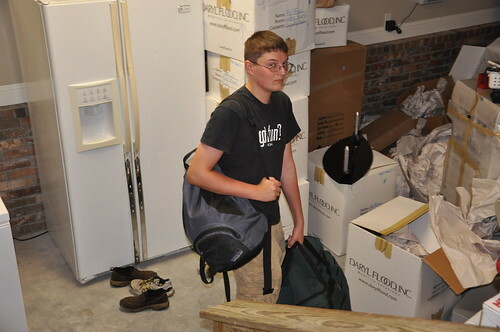 He made it out for his scout trip just in time to leave his father and me carrying Christmas decor into the attic in 102 degree Oklahoma weather. The things we parents do for our kids to have memorable experiences!